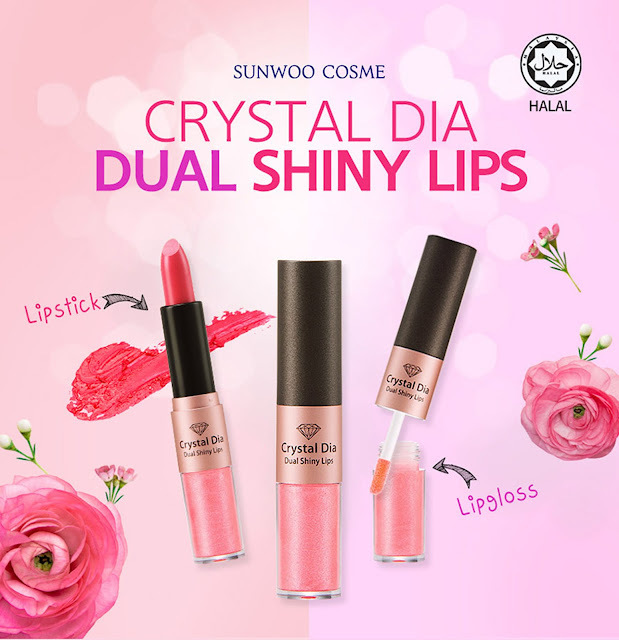 Introducing to you a new beauty line from Korea that has just been launched in Singapore! Good news for my muslim friends… these products are Halal Certified! Meaning, products are free from any ingredients derived from alcohol and forbidden animals. So hooray to that! Heh. I will be testing and reviewing one product each month. So remember to keep a look out on my post! 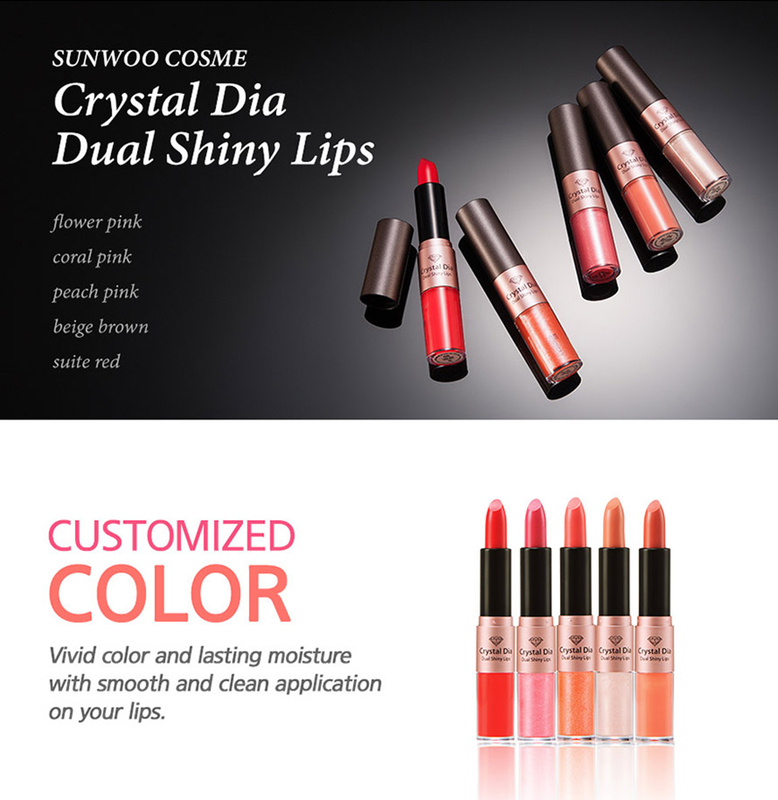 This month, I will be reviewing one of Sunwoo Cosme’s recommended product - Crystal Dia Dual Shiny Lips in Suite Red! Packaging of this lipstick is sleek. 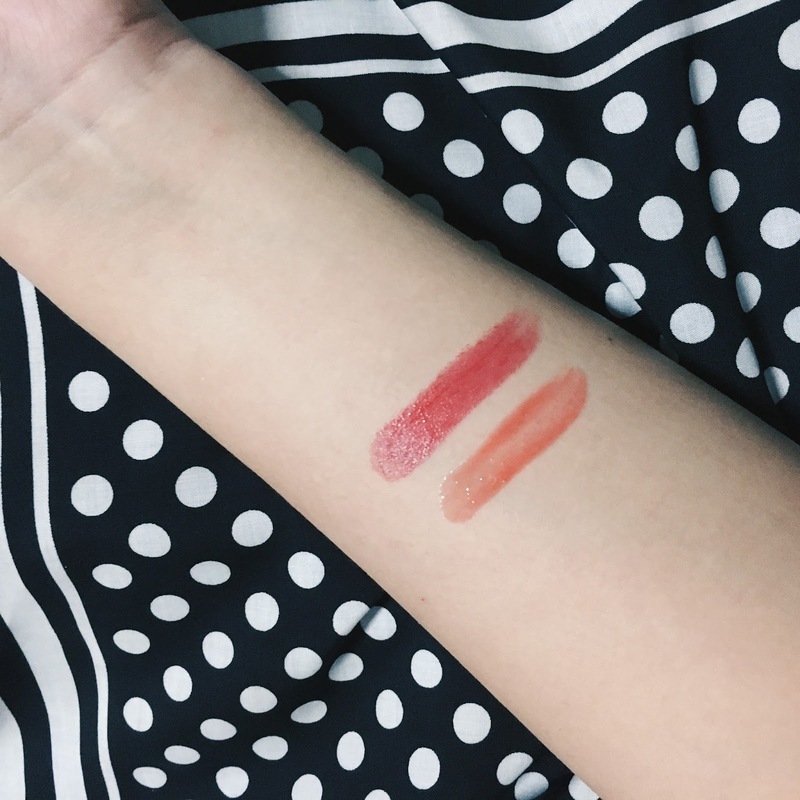 It's a 2 in 1 lipstick. One side is the lipstick, whereas the other is the lipgloss. That being said, you get 2 lipsticks for the price of 1. HA. Color pay off is quite strong and it glides smoothly on the lips. Staying power... I'd say, it lasted for about 6-7 hours? It leaves a tinted color after I had Nasi Padang for lunch. lol. 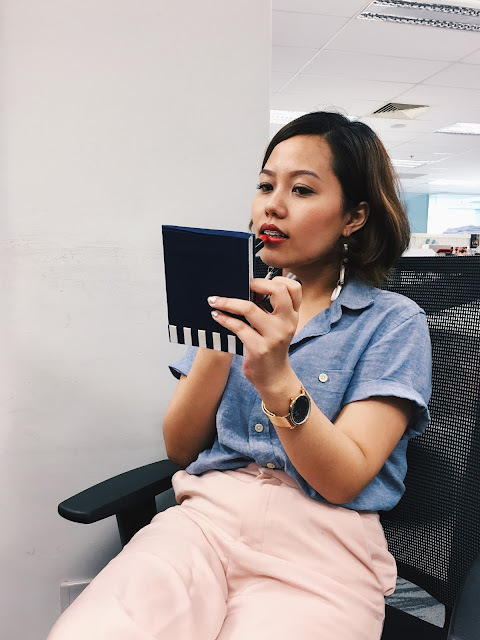 On normal days, I would apply a lip balm first, followed by the lipstick. 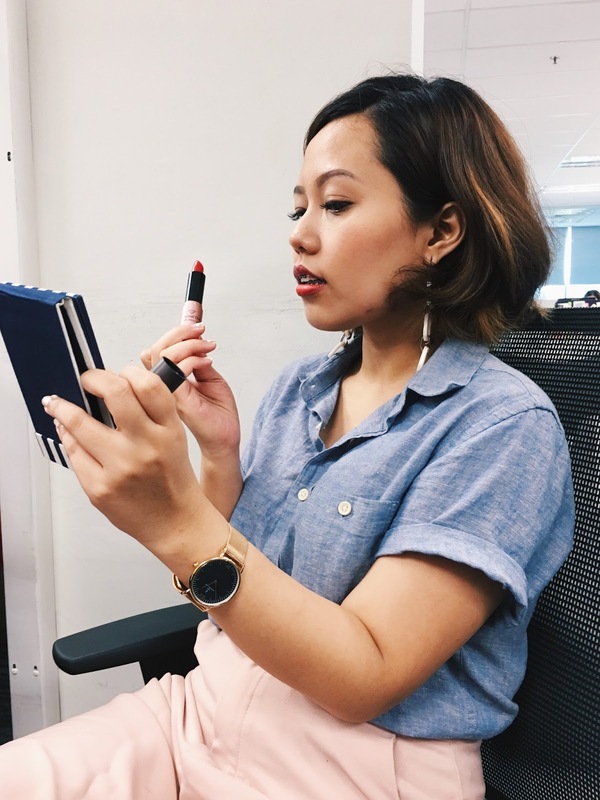 But thanks to Crysal Dia’s Hypoallergenic Vitamin E ingredient, I could skip that step and proceed to applying the lipstick as it offers moisture and light texture for comfortable, natural result. Another thing that I love about this lipstick is that, it didn’t bleed! I hate it every time my lipstick bleeds. Urghhh. So glad that this doesn’t! And I totally love the subtle fruity scent! I don’t know about you but I’m not a Gloss girl, so I’d usually skip that step. But for girls who love the shiny feel on their lips, feel free to layer the lipstick with the lipgloss to achieve that juicy and kissable lips just like Angelina Jolie! Heh. Flower Pink, Coral Pink, Peach Pink and Beige Brown.